Utilising the techniques of world-class motorsport engineering, the track-only hypercar sees its power-to-weight ratio exceed those of the Vantage GT3 and GTE racecars that compete around the world. 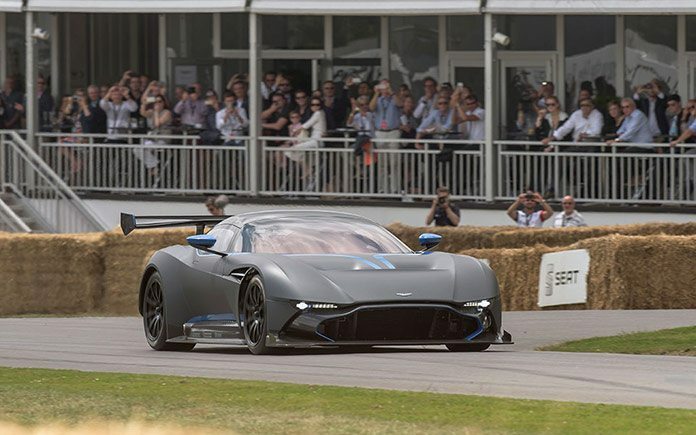 Comprising cutting edge engineering including that sourced from the brand’s successful GT racing campaign, the Aston Martin Vulcan features a carbon fibre monocoque and body constructed by Aston Martin’s long-term specialist body engineering and manufacturing partner Multimatic, integral limited-slip differential, magnesium torque tube with carbon fibre propeller shaft and Brembo racing calipers acting on carbon ceramic racing disc brakes which measure 380mm in diameter at the front and 360mm at the rear. “It’s been amazing to have been involved in this project from the beginning…From the conceptual sketches through to working with the designers on driver ergonomics, it is a fascinating process to be part of.